Anyone applying for permanent residency or citizenship in the United States must undergo a physical exam by a doctor approved by U.S. Citizenship and Immigration Services (USCIS). 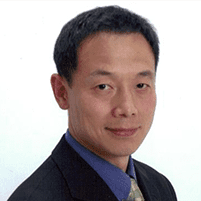 Hao Zhang, MD, Ph.D., of Edison Wellness Medical Group in Edison, New Jersey, is a board-certified physician who provides comprehensive immigration health examinations — including vaccines — for those seeking residency in the U.S. For your convenience, call or schedule an appointment online. What is an immigration health examination? An immigration health examination is different than a routine physical or checkup with your family doctor — the office of U.S. Citizenship and Immigration Services (USCIS) requires that you obtain your exam from an approved physician like Dr. Zhang. The immigration health exam is more like a screening to determine if it's safe for you to become a resident of the U.S. During the exam, Dr. Zhang looks for certain health conditions and ensures that you meet specific criteria — like being up-to-date on all your vaccinations. Typically, you won’t receive a general exam in which you discuss health concerns, conditions, and a treatment plan. Instead, Dr. Zhang makes sure you don’t have any infectious diseases that the USCIS doesn’t permit to enter the country. What diseases make me ineligible for citizenship? Dr. Zhang performs necessary testing and health screens to ensure that you do not have any of these diseases. What vaccines do I need as part of my immigration health examination? What should I expect during my immigration medical exam? Beginning October 1, 2018, the tuberculin skin test (TST) will no longer be accepted for USCIS immigration exams. Instead, a TB blood test (interferon-gamma release assay or IGRA) will be required for permanent resident applicants ages 2 and older. One visit with the USCIS civil surgeon, which is by appointment at any location. Have you been institutionalized for a chronic physical or mental condition? Have you become seriously disabled as a result of a medical condition? He asks about symptoms you have that may indicate cardiovascular, pulmonary, or musculoskeletal disorders. Dr. Zhang also asks about your history of recreational drug and alcohol use, prescription medications, and reviews any other records you have such as police, military, school, or employment. Edison Wellness Medical Group is open for immigration physicals seven days a week, including evenings, weekends, and holidays for all your Green Card medical exam needs. The lab is on-site, so Dr. Zhang can process your blood and urine tests quickly, and save you an extra trip to a lab. The office does not bill your insurance for immigration exams. To learn more, call or schedule an appointment online. *The cost of X-rays and vaccines are additional and not included in the cost of the exam. **The RPR test for syphilis is a separate charge of $10. Any subsequent blood draws during a later visit are an additional $15. ***The nucleic acid amplification test (NAAT) for gonorrhea testing is not included. The lab charges for this test are an additional $70.